For the second year running Caremark Limited was proud to sponsor an award in the Encouraging Women into Franchising awards event held earlier this week. Finalists, sponsors and guests from across the country and the industry gathered in London to celebrate the successes of finalists and winners. Caremark Limited’s Managing Director, Anne O’Rourke presented the award for Young Woman in Franchising 2017 to Emily Norman, 22, from diddi dance. Guest speaker, Melody Hossaini, founder of InspirEngage, shared her experiences of being a business woman, an inspiration for more women to step into the world of business ownership. “Every year the NatWest EWIF awards get bigger and bigger and I can’t believe we’ve just finished our seventh Awards! EWIF membership is growing year-on-year, and each year sees record numbers of entries. This demonstrates how women are coming forward to shout about their achievements. For me, this means the EWIF cause is working its magic! I look forward to the awards every year and I’m always sad when it’s over. It’s lovely to see so many from within the franchise industry joining together to celebrate the winners’ and finalists’ achievements.” explains Clive Sawyer, CEO of EWIF and MD of Business Options. “It was a great event and inspiring, as always. I know from first-hand experience how much work goes into arranging such an event so well done and thank you to all involved,” said Anne O’Rourke, Managing Director, Caremark Limited. 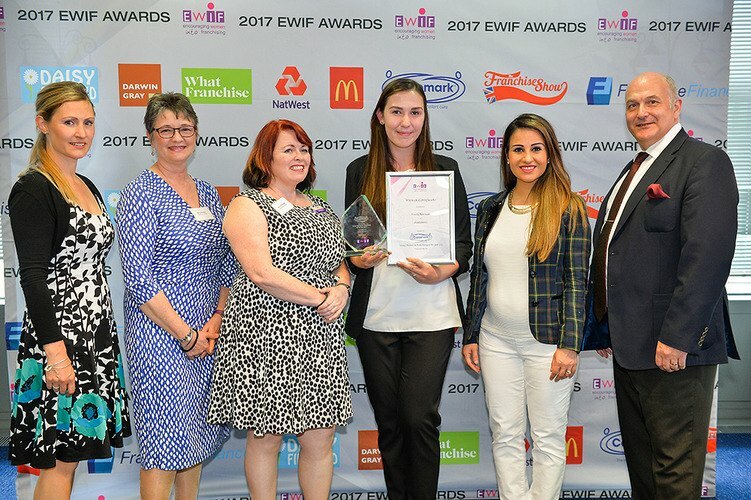 Franchising is continuing to attract talented and entrepreneurial women, with the EWIF awards testimony to the exceptional drive and abilities of an increasing number of women, keen to make their mark in business and create their own successful enterprise.